The First Mind is in the Observing Mind centered in the Brain. The Second Mind is called the Conscious Mind centered in the Heart. The third is the Mind of Awareness centered in the Lower Abdomen (Abdominal Brain). The Three Minds combine to fuse together in the abdomen, creating One Mind. In Chinese this One Mind is called Yi. 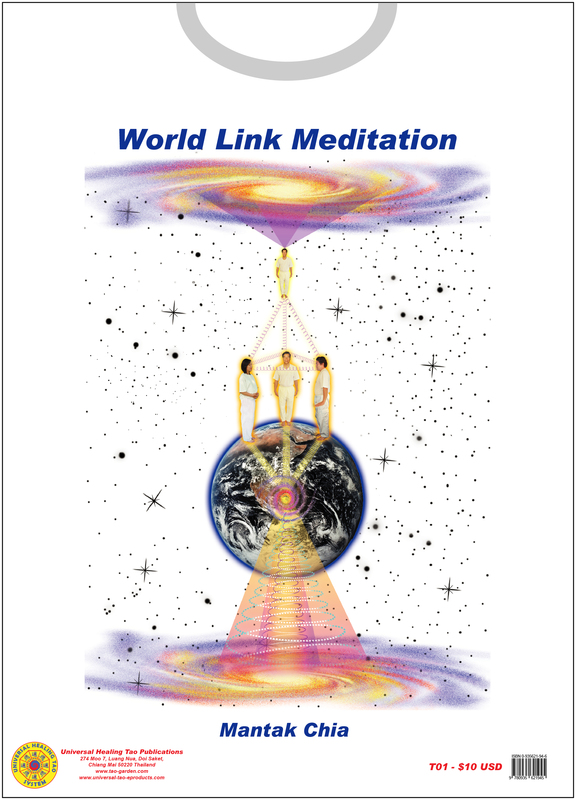 The World Link of Protection Healing Meditation is a spiritual practice that takes around 15 to 30 minutes. When people from all around the world link together at the same time they are greatly empowered. It can be practiced easily with the Universal Healing Tao formulas (Three Minds into One, Circle of Fire, Protective Animals & Peaceful Affirmations) then connecting the Yi Power to your Personal Star then to other's Personal Stars connecting above to the Three Colors (Forest Green, Ocean/Sky Blue & Violet Red) into the emptiness of the universe.